MYM Nutraceuticals: Is it Finally their Time? MYM Nutraceuticals (CSE: MYM) recently announced that its first cannabis grow facility is on schedule to see completion on December 15th, 2017. After this process is completed, it can submit to Health Canada to potentially receive its license to grow cannabis, which would be a boon to both the company and investors. Receiving this license would be a confirmation to investors that have held on through some rough waters. Arguably, MYM Nutraceuticals is a company that has had a checkered past. Is this finally a sign that the company has put its best foot forward? Or will it falter? MYM came in to existence on July 11th, 2014 in the form of My Marijuana Canada Inc, as the result of a slightly complicated business deal. The gist of this, is that it became a separate entity from Salient Corporate Services. Additionally, as part of this deal it had a wholly owned subsidiary, known as Adera Minerals Corp. Right from the start, the focus of MYM was for it to be centered in the cannabis industry. To enter this sector, on October 3rd, 2014, MYM Nutraceuticals announced that they had purchase property in Maple Ridge, BC. This property was planned to be used to apply for an MMPR application, which would enable them to legally grow and sell cannabis. At the same time, they also announced that they had acquired a list of 1,300 patients for this purpose. In total, $864,448 was spent on acquiring the property. Looking to grow their reach in the industry, on March 6th, 2015, MYM announced that they were looking for further opportunities in the sector through acquisitions. True to their word, on November 9th they signed a letter of intent to acquire a portion of Green Ventures Inc, a Washington based grow operation. This asset consisted of 3.9 acres of land, with a 21,000 sq ft facility on it. This deal was closed on April 6th, 2016, when it was disclosed that MYM Nutraceuticals owned an 18.75% stake in the property. The justification for this purchase consisted of receiving a portion of the revenues associated with the property. Fast forward to May 26th, 2016, and it was announced that the company had sold their Maple Ridge property. In exchange for the property, MYM received $790,000 – thus recording a loss of $70,000 on their initial investment. As part of the sale, it was announced that the company would then lease the land from the buyer. This was done to free up capital that could be invested in other areas of the business. Later in the year, it was announced that company would now formally be known as MYM Nutraceuticals. This included a complete re-branding effort, as the company focused on becoming more well known in the industry. The change enabled them to enter 2017 with a fresh look. With the new year came many new changes for MYM. On February 1st, 2017, it was announced that a 51% stake in Sublime Culture had been acquired. Sublime Culture, as the company described it, was in stage 4 of 5 in the ACMPR application process. Sounds excellent doesn’t it? There was only one problem – there’s seven (7!) stages in the ACMPR application process. For a company that has been supposedly focused on the sector for over two years, its questionable how they were unaware of this. MYM Nutraceuticals Feb 1st 2017 news release regarding the Sublime Cultures acquisition. A week after this announcement, a correction was issued in an unrelated news release. Presumably, as the result of a hoard of investors attacking the investor relations line demanding answers for this flub. Yes, mistakes happen. But, its not exactly the entrance to the new year that the re-branded MYM desired. Well, that’s embarrassing! MYM Nutraceuticals Feb 8, 2017 correction to its Sublime news release. The deal itself wasn’t particularly great for MYM Nutraceuticals either. To obtain Sublime Culture, it issued 1M shares to the principals. Upon the completion of the facility MYM will give 200,000 options to the shareholders. They will also be required to provide $1.8M for the completion of the property. Thus far, there’s no big deal. Where the issue arises, is in the fact that every year that the facility is operational, MYM will give the Sublime shareholders 200,000 options to purchase stock. Thomas Lahache, president of Sublime Culture, will become very well off as a result of this deal. It was not disclosed if these options were at a predetermined price. Finally, on February 22nd, 2017, it was announced that the acquisition was completed. 90% ownership is possible upon certain conditions being met. It was announced on September 26th that phase “B” of the Sublime Culture facility had taken place. This in effect meant that MYM had acquired additional space at the facility to expand its size from 10,000 square feet to that of 26,000. It was previously stated that production for this portion of the facility is expected to be running by Q3 of 2018. Finally, on November 9th, 2017, it was announced that the first stage of the facility was on track for a December 15th completion, upon which it would be able to receive the required inspections from Health Canada. Shortly after the announcement of the deal closing on Sublime Culture, another deal was released to the public. MYM Nutraceuticals would be acquiring 100% of HempMed, a Toronto based producer of CBD infused products. As part of the deal, 2,500,000 shares were issued to shareholders of HempMed. A further 1.5M were reserved for issuance dependent on certain sales targets being met. Additionally, 800,000 shares were issued as a finders fee to the person that brought the deal forward. HempMed has reportedly been in the industry for a number of years. Their primary focus is that of CBD extract and oil infused products. These include edibles, vape products, pet products, concentrates and more. It is expected that the company will generate $1.4M in the next calendar year. Additionally, they have over 60 retail outlets along with online sales sources. Internally, HempMed is parked under a subsidiary of MYM Nutraceuticals. Formerly known as Adera Minerals, this subsidiary was renamed to Joshua Tree Brands. It appears that for whatever reason, the company has chosen to remove the HempMed branding, and replace it with that of Joshua Tree. From a business standpoint, it is questionable as to why they would re-brand an established business immediately upon acquiring it. Also of note, is the significant size of the finders fee allotted for this acquisition – approximately 1/3 of the value of the takeover. On June 20th, 2017 MYM Nutraceuticals issued a significant press release – it had signed an exclusive deal with a municipality in Quebec. Namely, the municipality of Weedon. Within this deal, MYM committed itself to build fifteen 100,000 square foot greenhouses, on a property 329 acres in size. The unbelievable part of this deal, is that the municipality will provide the company with those 329 acres, free of charge. It is anticipated that the facility, when at full capacity, will produce 150,000 kg annually of cannabis, worth approximately $750M. The deal is being exercised through a subsidiary based out of Montreal, which MYM owns 75% of currently. This subsidiary, CannaCanada Inc, is the entity that had the contacts that enabled the project to happen. Upon certain conditions, MYM Nutraceuticals will be able to acquire an additional 15% of the company, bringing its total ownership rights to 90%. In total, 3,000,000 shares will be issued to CannaCanada as part of the deal, which will be released upon certain conditions being met. An additional 10% finders fee was issued to the person that brought the deal forward. The facility, clearly, will be built in stages. Currently, they are working on establishing the first three 100,000 square foot greenhouses, in addition to a 20,000 square foot warehouse. Upon licensing of this facility, MYM will continue to build out the facility with more grow spaces in a total of three phases. In addition to this, the grounds will also include a training facility, an R&D facility, a cannabis museum, an auditorium, and a small hotel. Keeping up with its frequent acquisitions throughout the first part of 2017, on September 6th MYM Nutraceuticals announced that it would be acquiring assets from Mary Jane’s Touch. Furthermore, it would retain MJT as a consultant to the company. Mary Jane’s Touch was acquired from 9609989 Canada Ltd. Upon searching this, it was discovered that the director of this company was Sarah Gillies. Sarah appears to be quite connected in the cannabis industry with grassroots type individuals. She is also the co-creator of The High 5, a Toronto based cannabis promotional company. Additionally, she has also been involved in pop-up cannabis markets in the Toronto area. MJT is a manufacturer of CBD products, similar to that of HempMed. As a result of this deal, MYM obtained all research data that had been conducted by MJT, along with all intellectual property of the company, including its database of contacts. 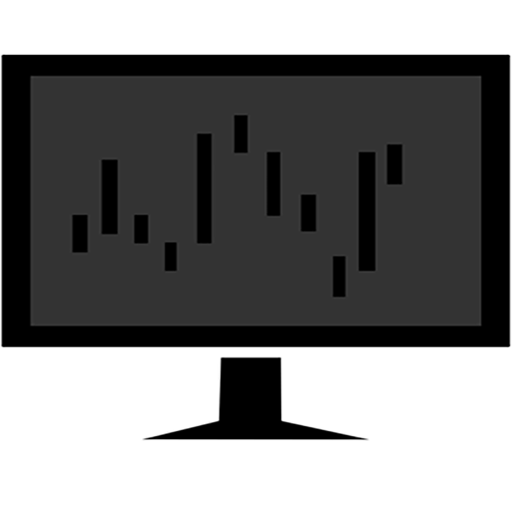 Funding for this deal consists of 500k shares, 250k options with an exercise price of $0.45, 1% commission on the first 500k of sales, and 0.5% commission on any further sales. Finally, for the length of time that MYM Nutraceuticals retains MJT as a consultant, MYM will pay the company $125,000 a year. Just slightly complex, isn’t it? it’s questionable that the company couldn’t arrange a deal that didn’t involve future commissions on all sales. However, as has been seen with the Sublime Culture deal, the company for one reason or another likes to give value away for the duration of their existence. It is expected that these assets will be combined with that of the HempMed assets under the Joshua Tree banner. This will in theory strengthen their product offerings to the market for CBD products. Feeling as if it hadn’t stretched itself out enough, on October 18th, MYM Nutraceuticals announced that it was partaking in an Australian venture. This project, which it will own 35% of, consists of a 1,000,000 square foot greenhouse, that will produce approximately 100,000 kg of product a year once fully licensed. It is a deal similar to that of its Weedon deal, in that it involves a local municipality. This time however, it also includes a Canadian competitor – PUF ventures. If you haven’t noticed by this point in time, its clear that MYM Nutraceuticals likes to publish large numbers to get investors excited. This Aussie venture follows this trend. As part of the deal, both PUF and MYM will be required to input significant funding for the project. Which debateably, neither company has a whole lot of access to. With all the projects MYM has on the go currently, it’s questionable whether or not they’ll be able to continue to find funding for their grand schemes. Believe it or not, MYM Nutraceuticals actually has somewhat decent financials, which is an anomaly for the companies we’ve previously focused on. It has managed to stay away from long term debt miraculously, which is tough to believe given the number of acquisitions it has performed. As of August 31st, 2017, MYM had approximately $2.12M worth of assets, which includes both current and non current assets. When it comes to liabilities, it only owes about $246k in payables and to related parties. Additionally, as a result of its HempMed acquisition, it can now actually report it has revenues. This may seem unimpressive to some, but not many ACMPR applicants can say they have income before receiving a license. It just doesn’t work that way. In fact, MYM Nutraceuticals itself had no revenues for the first two years of its existence, it relied solely on loans and equity raises to fund its projects. For the three months ended August 31st, the company still recorded a net loss of over $600,000. It also realized a negative cash flow of approximately $300,000. However, given the amount of projects it has in the works, this is somewhat impressive. We expected much uglier financials when it came time to dig in to them. It was a pleasant surprise to see such healthy figures for the company. However, its advisable for investors to keep an eye on these figures. Due to the amount of deals on the go, things could turn south quick if the organization isn’t careful about its spending. MYM Nutraceuticals Aug 31/17 interim financials, excerpt from page 10. This may seem insignificant to many. However, in a news release dated June 23rd, 2017, they indicated that they obtained four domain names related to that of their Joshua Trees brand. If these are the referenced acquisitions, it is highly unlikely that they contain such a high valuation. For those that are of the slightly geeky variety, you’ll know that domain names typically cost anywhere from $5 – $20 to register. Some of the newer extensions are more pricey yes, but not to this degree. By placing this high value on these recently registered domain names, it pulls in to question other valuations that the company has listed. As a direct result of all the deals signed lately, MYM Nutraceuticals has seen its outstanding share count take a hit. This is especially significant given its low share price for much of 2017, which resulted in higher dilution for lower monetary sums. First, lets take a look at where the organization stood in terms of share structure, as of August 31st, 2017. As seen above, there are approximately 11,000,000 warrants outstanding for the company. As a result of the current share price of the equity ($0.96), it is highly probably that many of these have been exercised in the last handful of days as investors cash in. The fact that close to three million of these expire in early December, its safe to assume that these were likely exercised recently. Nothing beats a return at 11X your original investment! Thankfully for current investors, not as many options are currently available to exercise. Several are in lock up until specified conditions are met. However, almost all of them are at prices somewhat higher than that of the warrants. These investors are still very well off, but not to the same degree as warrant holders. Finally, is the shares outstanding portion of the company. As a result of a number of shares being issued, in the three months ended August 31, 2017, outstanding shares increased by just under 14,000,000. This puts the total outstanding count at approximately 82 million shares. All together, the fully diluted share count as of August 31st, 2017, is 100,127,097. Although this figure is climbing, its a relatively low number when compared to others in the same sector. As could be reasonably assumed, the fully diluted share count has increased since the date of these financials. To give investors a better understanding of what the current share structure looks like, we created a nice chart for you. With these additional issued securities, it brings total full dilution to 113,659,347. The unfortunate part of this, is that investors can fully expect further dilution to come down the line. This is a necessary evil if MYM Nutraceuticals wishes to be able to fully fund all of its projects. According to company documents, Erick joined MYM in June of 2017, when he signed on as an executive chairman and a director. As part of this package, he is to be paid $125,000 the first year, and $150,000 for the second. 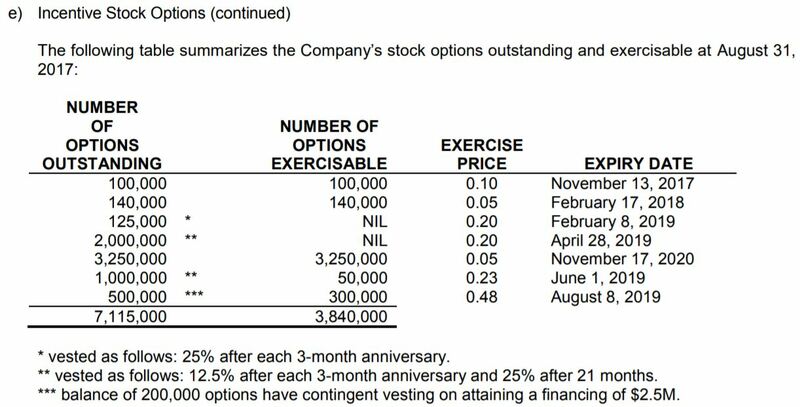 Additionally, he received 500,000 shares as well as 1,000,000 options, with an exercise price of $0.20. Mr. Factor has much experience in the field, as has ran a dispensary, Westcoast Medicann, for approximately seven years. He is also in control of a small construction company. Whats interesting about Erick Factor, is what comes up when you search his name. For instance, although MYM Nutraceuticals insists he came on in June of 2017, his LinkedIn profile indicates that he has been with the company since 2014. Furthermore, there is reportedly a failed trademark that was attempted to be registered in his name. This trademark was for “My Marijuana”, the original name of the company. The last status update on this was from July of 2016. Until recently, Michelle Hackett was the Chief Operations Officer as well as a director of the company. That is, until she disappeared without a trace. Originally from Maricann, Michelle was one of the original executives of the company. In documents filed on SEDAR in March, she held approximately 15% of all common shares of MYM Nutraceuticals. The last we can find of her on company documents, is when she made a purchase within a private placement. This announcement was in the same announcement pertaining to the appointment of Erick Factor. Since then, it appears the company has scrubbed itself clean of her name. She is currently not listed as a director or executive anywhere that we can find. Furthermore, unless we missed key documents filed to SEDAR, her resignation or departure was never announced. Finally, her position in company stock has not been mentioned again. Odd, isn’t it? The executive that progressed his career backwards. For many, we aspire to climb the corporate ladder. Jonathan Fiteni appears to want the opposite of that. Originally coming to the company in late 2014 in the role of chief executive, Mr. Fiteni has since relinquished his executive role. In April of 2017, he left his role as chief executive, and instead replaced it with a directorship. Then on October 25th he resigned from the role of director. As it stands, Mr. Fiteni remains in the role of Manager of Operations. Currently the Chief Executive of the company, Mr. Gietl is specialized in acquisitions. Based on the M&A activity since his arrival, its clear that this experience is paying off for MYM Nutraceuticals. He also appears to have an extensive history in operations. A director of the company, Ian Ramage was brought on as a result of his experience in the cannabis industry. As a practicing lawyer, this is beneficial to the company when it comes to potential purchases of new assets. He also has a history of providing counsel for illegal dispensaries in BC. 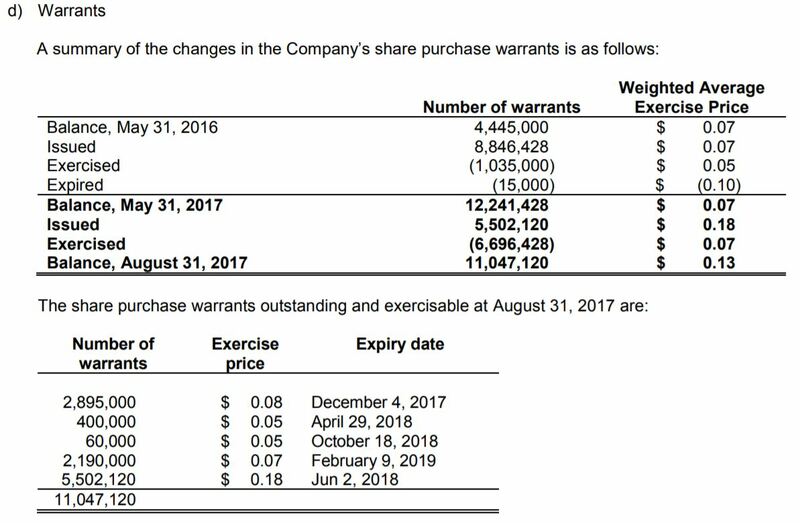 It should be noted that Mr. Ramage is a frequent insider seller of company stock, having sold numerous times over the previous six months. Whether that’s a reflection of what he sees the value of MYM as, or if he just needs the cash is anyone’s guess. Serving as the CFO of the company, Mark Forster has many roles. These include, according to his LinkedIn page, the CFO of Firebrand Resources (which has its company address listed as the previous MYM office), as well as a director at Teletouch Services Inc., a company from Maple Ridge BC. For MYM, he takes care of anything finance related as well as disclosures. If there is one thing that MYM Nutraceuticals appears to obsessed with lately, its consultants. Since the start of 2017, MYM has brought on board numerous different consultants for various reasons. Yes, that is a total of seven different consultants that have been signed on to the company in under seven months. Not all rates were disclosed for these consultants, however if they all are along the same lines, MYM Nutraceuticals will have several large bills to pay. For instance, the consultant from MJT alone is $125,000 a year. Its debatable how much value each consultant will truly provide. MYM Nutraceuticals is a company that had a very questionable beginning. Rife with blunders, there was a reason few investors saw value in the company. Fast forward three years, and it is still making blunders. For instance, twice this year it had to provide corrections to news releases it issued. In both cases, they were items that never should have been missed on the first edit. There are also other questions that arise when reviewing the company. Such as, how is it going to continue to fund itself? Will investor equity be washed away? What about the Weedon facility, will it actually be established? Will it continue at its current rate of two private placements a year? What about the Australian venture? Is this a company that is simply stretching itself too thin? Acquisitions in this stage of the game are smart. Potential takeover targets can be had for fractions of what they’ll be worth in two to five years time. Getting established now as a conglomerate in the industry is not a bad idea by any means. However, you need to keep in mind the value you are providing to your shareholders. Constant dilution serves very few people. Furthermore, you need to ensure that the deals being signed are realistic, appropriate, and that they won’t give away your profits for years to come. Examine the fine print. Ask questions. Dive deep. Information for this analysis was found via Sedar, Canadian Insider, LinkedIn, and MYM Nutraceutical’s website at http://www.mymarijuana.ca/. The author has no securities or affiliations related to this organization. Not a recommendation to buy or sell.